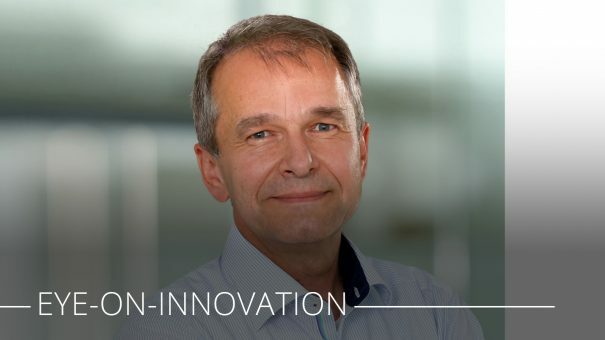 As part of pharmaphorum’s eye-on-innovation interview series, Paul Tunnah speaks to Merck Biopharma’s vice president of innovation Ulrich Betz on how the company is celebrating its 350th anniversary with a series of initiatives to foster innovation and imagine the next 350 years. Based in Germany’s “city of science”, the company aims to celebrate its 350th birthday by working with the scientists of today and tomorrow on a range of projects that aim to build on the company’s success, while addressing the challenges facing future generations. Ulrich Betz, vice president of innovation at Merck Biopharma, stressed the importance of the anniversary for the company, which aims to continue to be a leader in science for the next 350 years and beyond. Merck wants to strike partnerships and foster innovation in five categories – healthy lives (life sciences), life reimagined (synthetic biology), materials and solutions (performance materials), vibrant digital (digitalisation), and bright future (new ways of working and collaborating). Some of the world’s greatest scientists in these fields will come together at the Curious2018 Future Insight conference, which will take place in Darmstadt on July 16-18 and which Merck is sponsoring at the occasion of its 350th anniversary. Those attending will hear from more than 30 highly influential keynote speakers, such as genomics expert Craig Venter, co-founder of Human Longevity Inc, the physicist and president of the Weizmann Institute Daniel Zajfman, and cell biologist Ruedi Aebersold, from the University of Basel. Giving further details about each category, Betz outlined how they are related to Merck’s various areas of business. “There is a lot happening with new intelligent materials, surface materials, and we have a performance materials division making the liquid crystals for flat screen TVs,” Betz added. Merck is also keen to find how organisations of the future will look, and how they will foster the innovation that could bring new technologies to the world. One of the challenges facing large organisations is how to encourage and develop “intrapreneurs” – a person who acts like an entrepreneur but within the boundaries of a large company. These people could drive innovation within companies, but their energies must be harnessed, along with the potentially disruptive nature of the projects that they are working on. Curious2018 will also see the start of the Future Insight Prize, the prize will be awarded annually from 2019, to recognise people who aim to improve the future with ground-breaking science and technology. Aside from the prize, Merck will also be making research grants available to support innovative projects. Betz stressed that the grants are open to anyone, from individuals to large companies, with the emphasis being on the innovation and strength of the idea behind the project. Betz added that the 350th anniversary events and projects run parallel with the company’s usual business. While the research grants could help to kick-start certain innovative projects, also the conference will foster new collaborations. There will be partnering sessions at the conference, and scientists and managers will also be on hand to discuss the latest technological breakthroughs. After the conference young scientific talent from all over the world will come together at the Innovation Cup to brainstorm and develop new ideas that are later also implemented for example with a new innovation paradigm that Betz terms “outcubation”, which is located somewhere between the poles of outsourced and incubated R&D. “In the end it boils down to having a team of young talented scientists that work on a topic that is based on their own idea, in a field that the pharma company is defining,” said Betz. Dr. Ulrich A.K. Betz is Vice President, Head of the department Innovation and Entrepreneurship Incubator at Merck. He is the leader of the science and technology workstream of Merck’s 350th anniversary. In his other role he is responsible for global innovation management at Merck Biopharma across the entire value chain. Ulrich designed and implemented the Merck Innovation Cup, the Curious2018-Future Insight conference, the Future Insight Prize, the idea competition innospire, and the BioMed X Outcubator. He is also responsible for public private partnerships and strategic academic collaborations in Merck Biopharma R&D. Ulrich Betz is an accomplished R&D manager with 20 years of experience in the pharmaceutical industry, including positions in the President’s Office Merck Biopharma and positions reporting to the Heads of Research and Development at Bayer and Merck. Dr. Betz has won several innovation awards for his innovation activities such as e.g. the German Industry Innovation Award, Edison Award, Stevie Gold Award (R&D manager of the year), the German Idea Award 2014 and the Bio IT world best practice award. Dr. Betz is author and co-author of more than 80 publications (e.g. Cell, Nature Medicine, Nature Biotechnology) and patents. Can ‘design thinking’ revolutionise pharma’s culture?